London mayor Sadiq Khan has joined councils in the South East of England in calling for the devolution of stamp duty and other revenues to pay for new infrastructure. 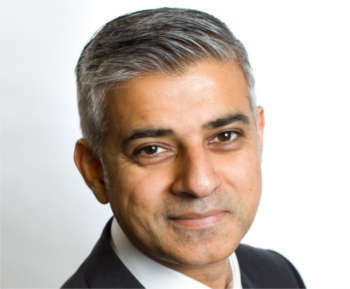 Mr Khan said he ‘fully endorses’ the recommendations of a new report from the London Finance Commission (LFC), which calls for the capital to be given control over a much wider range of taxes, in exchange for lower levels of government grant. The LFC repeated a call it made under the previous mayor, Boris Johnson, for ‘the full suite of property taxes’ to be devolved to the mayor, including the operation and setting of council tax and business rates and the devolution of stamp duty. It argued that existing mechanisms only extract ‘a small fraction’ of the uplift in property values produced by transport investments – with stamp duty capturing some uplift value – for the Exchequer. Government should work with the mayor ‘to develop a framework for localising the portion of stamp duty attributable to transport-catalysed value uplift, so that such projects become easier to fund at a local level’ the report states. It also said a share of London’s contribution to vehicle excise duty (VED) revenue should be devolved for improvements to nationally strategic roads within the capital. A separate report from South East England Councils (SEEC) says the region's local authorities need new powers to unlock tens of thousands of unbuilt homes and to fund more affordable housing and better infrastructure. It says councils in the region should ‘retain a greater share of locally generated business rates, to access a share of stamp duty receipts and have more local control over setting council tax, which would all help support investment in infrastructure’.